Pet owners have a legal duty to protect members of the public from any dangers posed by their animal. Unfortunately, serious dog bites still occur far too frequently in Colorado. These attacks can be both serious and traumatic, especially for children. In many cases, the dog owner’s homeowners’ insurance policy will cover a portion of victim’s medical bills regardless of fault. However, for dog bite cases involving serious injuries, you may be required to prove the negligence to get the full and fair financial compensation that you deserve. Unfortunately, insurance companies can be very aggressive when defending these cases. At Bloch & Chapleau, LLC, our top-rated Colorado dog bite attorneys help injured victims fight back. We provide injured victims with the high-quality legal representation that they need to get compensation for their damages. If you or your child was injured by a dangerous dog, please contact our legal team today. Under Colorado common law, dog owners can be held legally liable for a victim’s injuries if they knew or should have known that their animal was dangerous. This is often referred to as the state’s ‘dangerous dog rule’ or alternatively as its ‘one-bite rule’. 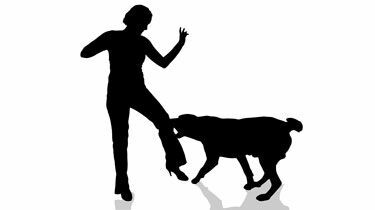 If the dog has shown aggression towards innocent humans in the past, either because it already bit a person or came very close to biting a person, then that dog owner should know that their animal is dangerous. As such, that dog owner needs to take exceptionally careful precautions to ensure that their dog does not get loose and bite an innocent person. The failure to do so is negligence. If they fail to properly protect the public from that dangerous dog, then they can be held liable. However, not all dogs who attack a person meet the criteria of a ‘dangerous dog’ under Colorado law. A dog bite victim who cannot prove that the dog was ‘dangerous’ may still have legal options available to hold the dog owner liable. Colorado has a dog bite statute (§ 13-21-124) for these types of cases. To bring a claim under this statute, the victim must have sustained a ‘serious bodily injury’. That being said, the dog bite statute only allows for recovery for economic damages. At Bloch & Chapleau, LLC, our dog bite lawyers have helped many victims obtain full and fair compensation for their injuries. If you or your child was injured by a dangerous dog, please contact our legal team today for a free legal consultation. We represent injured victims in the Denver metro area and throughout the state of Colorado.